In 2001, Lisa Druxman became a mom and an entrepreneur. She was looking for a way to blend her passion for fitness with motherhood. Lisa now leads a business that brings exercise, companionship and support to tens of thousands of moms around the country. 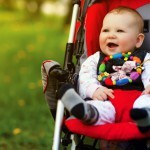 Stroller Strides grew over the years and added Fit4Baby (prenatal classes) and Body Back (classes for any stage of motherhood). All of the classes now make up the FIT4MOM brand, which has been featured numerous times on NBC’s Today Show, CNN, The Montel Williams Show, Access Hollywood and profiled in magazines such as Entrepreneur, Woman’s Day, Good Housekeeping, Self and more. The women who run the 1,500+ FIT4MOM class locations share Druxman’s passion for a business that gives top priority to family. “Our franchisees are not just fitness professionals. They are everyone from stay at home moms to teachers to nurses. So many moms are out there looking to have a business that’s supportive of motherhood.” Lisa Druxman, M.A. is a nationally recognized speaker and author and considered an expert in the field of fitness, particularly pre/postnatal fitness. She is best known for her outlook on raising healthy moms and healthy families. Druxman earned her Master's degree at San Diego State University in Psychology with an emphasis in exercise adherence and weight control. She created the weight management program, L.E.A.N. Mommy® (Learn Eating Awareness and Nutrition) which is also the name of her book, by Hachette Books. Druxman was voted by NBC as one of “America’s Favorite Moms” in a nationwide contest. She has presented at international fitness conferences and many other engagements for moms, fitness professionals and business owners. She is a member of the National Speaker’s Association and is a certified Group Fitness Instructor and Personal Trainer. Lisa is involved in a number of charities including Postpartum Health Alliance, Healthy Child Healthy World and The Breast Cancer Fund. Druxman is a well-published author and was the exclusive writer for Entrepreneur’s online Mompreneur column. She has received numerous awards, including Business Owner Of The Year from the National Association of Women Business Owners and Program Director Of The Year from IDEA, the world’s largest fitness association for fitness professionals. Druxman lives and relishes the FIT4MOM mission statement every day, “Helping moms make strides in fitness, motherhood and life.” She lives in San Diego with her husband, son and daughter. For more information, go to www.lisadruxman.com. Bring on the turkey, tryptophan and (for some) a bright, shining Christmas tree! The holidays are here! With so much to do this season, how are you handling all the additional stress? How can you effectively manage that crazy schedule while caring for young children? Here are some great ways to bust those stressful situations so you can fully enjoy the holidays!